New veterans’ photo ID cards are not official government identification and they should be. OTTAWA—Process is as important as product. When the product is destined for a group of Canadians willing to die for our democratic process, shouldn’t Ottawa put a little more effort into how the product is made? I am talking about veterans and the recent announcement to bring back a veterans’ identification card. No other group of Canadians foregoes liberties, limbs, and once healthy lives to serve the rest of us. Government took these sacrifices for granted when it replaced the previous veterans’ photo ID card with a corporate discount card known as the CF1 (CanadianForces1) card in 2016; except the original photo ID card and its current reincarnation were and are not official government identification cards. “If it is not an official ID card, of what value is it?” Jerry Kovacs said during a telephone interview. Apparently, politicians and bureaucrats don’t hold veterans in high enough esteem to provide them with a card that will be recognized as an official government document. If the product is half-baked, so is the process. Let’s set aside the 20 years of veterans calling for an official ID card. Let’s also ignore that this low-tech card will be rolled out over a near year-long, three-stage phase-in process. The card will not be issued by the department mandated to care for and treat veterans and their families. Instead, the CF will issue the card, making good on yet another failure by Veterans Affairs Canada senior planners. Disturbingly, official announcements affecting veterans have been taking on a far more dark tone than the open and transparent “sunny ways” promised by the Liberals. The press conference was held behind the high security gates of National Defence Headquarters. No veterans were invited. Kovacs managed to receive the last-minute go-ahead from Sajjan’s office. “There were about eight uniformed personnel, 10 bureaucrats, 20 media, four political staffers, and me,” Kovacs explains. Thirty seconds prior to the conference, Kovacs was taken into a private room by a staffer to O’Regan and was asked why he was there and who invited him. Don Leonardo, founder and president of VeteransCanada.ca, Canada’s largest dedicated veterans’ organization with more than 8,000 members, said he doesn’t know why the Liberals are scared. “It’s not a big deal. It’s not even an official government identification card.” Leonardo was one of an unknown number of participants invited to a teleconference held during the press conference. He received notice of the teleconference only one hour before and said the password and call-in number arrived four minutes into the teleconference. “Just like all of veterans’ programs and announcements over the past years, we were never consulted on the identification card. If we were, we would have insisted on an officially recognized ID card with some form of chip technology,” Leonardo said. During the press conference, photos were taken of three military members receiving new cards from the minister. Sadly, photo-ops and plastic mementos often replace meaningful recognition. There is something repugnant and distasteful about preying upon the deeply indoctrinated loyalty of serving members and veterans to serve political ends. Veterans should never be used as political and bureaucratic PR fodder, especially when that PR fodder doesn’t validate their right to vote in the very democracy for which they were willing to die. Sean Bruyea, vice-president of Anti-Corruption and Accountability Canada and author, has a graduate degree in public ethics, is a retired Air Force intelligence officer, and frequent commentator on government, military, and veterans’ issues. 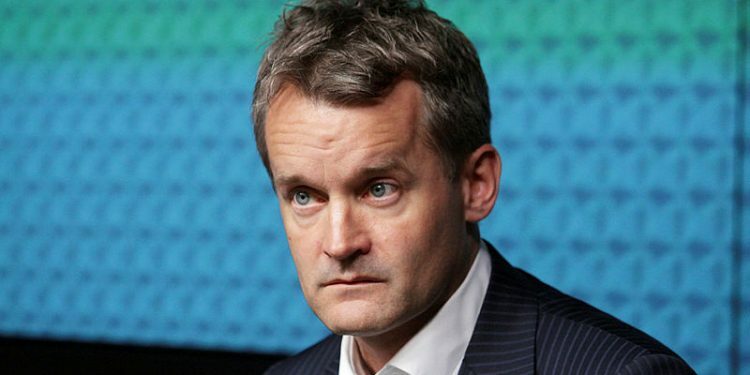 Mr. Bruyea filed a $25,000 defamation lawsuit against Veterans Affairs Minister Seamus O’Regan on May 11, claiming the minister had defamed in a column published in The Hill Times on Feb. 26, which was a rebuttal to Mr. Bruyea’s Feb. 12 column also in The Hill Times. But an Ontario judge dismissed the case last week, saying the need to protect the freedom of expression is more important than any harm alleged to have been suffered by the outspoken veterans’ advocate, who represented himself in Ontario Superior Court. Mr. Bruyea says he plans to appeal the ruling.